Lucinda Tucker and her family live the lives of Migrant workers....since they lost their farm in the Dust Bowl. While on their way to pick beets, a carnival pulls into the town with them. Fate is set and Lucinda meets Bo. 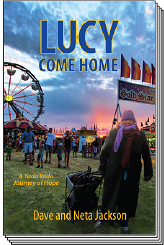 We follow Lucy [Cindy] from a fifteen year old girl through to eighty years of age. This is a long book, but a compelling read. You will want a box of tissues handy...there are a lot of highs and lows. Through out the book you find God's hand leading their lives. What a turn of events, and how the journey progresses. We travel with Lucy with her parents, and then on the run and into Canada. From there we travel to Chicago, and then WWII. We live with her as a homeless person, and in shelters. Don't miss this great Christian read! I received this book from Litfuse Publicity Tours, and Castle Rock Creative, and was not required to give a positive review. I found this to be a really great read. Susan Page Davis has woven such an interesting tale....woman Cowgirls. Back in the late 1880's they did the unexpected, and probably not approved. Maggie Porter returns home from a delightful time in San Francisco to find that things are really bad at the Ranch. Her father appears not to be himself, and he is doing unexpected things. As a result the Ranch Hands are besides themselves and are about to strike. The Ranch Foreman Alex Bright, who Maggie has felt sparks fly about, feels he needs to stick by his men. When we find out what is going on, we are fully supportive of Maggie. Love the reaction of the small town Brady TX, and wish I could have been there with them. Once you begin this journey one you won't be able to put it down...Enjoy! I received this book from the Publisher Moody, and was not required to give a positive review. The Book of Books: The Bible Retold The Bible, the story of God's people, has been passed down through the generations. But how often does a combination of the complex or outdated language, the extensive genealogy lists, and the unfamiliar culture stand in the way of young readers' understanding of a truly great story? TREVOR DENNIS is Vice Dean at Chester Cathedral, where he has worked since the beginning of 1994. Before that he was Chaplain at Eton College for seven years, and then taught Old Testament Studies at Salisbury and Wells Theological College for nearly 12 years. Trevor is also a regular contributor to BRF. He has published four books on the Old Testament and four collections of stories and meditations. The Book of Books, an insightful retelling of the Bible for those aged 9 and over, is Trevor's first book for children. Trevor brings to this book his many years of scholarship and all his powers of storytelling, as well as his love of God and the Bible. Retelling of Bible Stories for the 9+ year old...what a wonderful way to learn the bible. Read these to my younger Grandchildren ages 5 and 7, and they were asking for more! There are many poignant lessons to be learned, with them understanding what was being said. An example was the story of the donkey that was laden to the point of collapse...would you walk away and leave the animal without helping? How about if you hated the owner? A resounding "No"...they would help. Another example is the 23 Psalm which is written so they could understand it, and we read it in a timely manner...as they had just lost their Grandfather. The book has stories, poems, passages, and hymns...told by a skilled story teller. I highly recommend this wonderful book, and it is now a keepsake in our family. I received this book from the Publisher Kregel, and was not required to give a positive review. AT FOURTEEN YEARS OLD, Dominique Moceanu was the youngest member of the 1996 U.S. Women’s Olympic Gymnastics team, the first and only American women’s team to take gold at the Olympics. Her pixyish appearance and ferocious competitive drive quickly earned her the status of media darling. But behind the fame, the flawless floor routines, and the million-dollar smile, her life was a series of challenges and hardships. Off Balance vividly delineates each of the dominating characters who contributed to Moceanu’s rise to the top, from her stubborn father and long-suffering mother to her mercurial coach, Bela Karolyi. Here, Moceanu finally shares the haunting stories of competition, her years of hiding injuries and pain out of fear of retribution from her coaches, and how she hit rock bottom after a public battle with her parents. But medals, murder plots, drugs, and daring escapes aside (all of which figure into Moceanu’s incredible journey), the most unique aspect of her life is the family secret that Moceanu discovers, opening a new and unexpected chapter in her adult life. 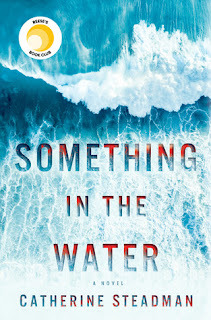 A mysterious letter from a stranger reveals that she has a second sister—born with a physical disability and given away at birth—who has nonetheless followed in Moceanu’s footsteps in an astonishing way. A multilayered memoir that transcends the world of sports, Off Balance will touch anyone who has ever dared to dream of a better life. My Review: I got caught up in this book, and tried to imagine not really ever having a childhood. Dominique Moceanu started gymnastics at the age of three. She began competing at such a young age and winning Olympic Gold Medals at the age of 13. We explore her home life, and the moving and practicing. Finally ending up with the Karolyi's and their style of training! Be prepared to wish you were able to help this young child, and then along comes another secret....the missing piece? With the 2012 Olympics approaching, we are given an eye opening look into the inner sanctum of and Elite Gymnast. While the book does seem to keep repeating facts, it does tell a good and true story. I received this book from Simon and Schuster and was not required to give a positive review. Lucy Banning has been born to a life of privilege, but has a heart for those that are less fortunate. She appears to have it all, when the story opens. She is taking college classes, behind everyone's back, and engaged to be married to her childhood friend Daniel. Daniel is also from "Money", and has a career as a promising Banker. She has two older brother's Oliver and Leo. When her brother Leo brings home his friend Will, Lucy is very interested. Even her mother notices, and admonishes her....after all she is an engaged woman. Lucy is also playing an active roll in the upcoming 1893 World's Fair. With this there are also strange things happening at the house. I read this in almost one setting...such a great quick read...and you won't know all the answers to almost the end. Just finished this wonderful Beverly Lewis book, and was not disappointed! Wanted to move to Hickory Hollow, and find the peace that Amelia Devries found there. You have the feeling of God leading Amelia to the peace she is so looking for. She is a Classically trained violinist, and to find some enjoyment, a self trained talented fiddler. Michael Hostetler is a 25 year old Amishman, who loves his family, but wants more in life. He wants to be draftsman, and is having a hard time, when province lands Amelia at his doorstep. Both love their families and live their lives for their families, with hopes for something different. So enjoyed the people of Hickory Hollow...especially the Wise Woman Ella Mae, and Joanna Kurtz. How I would love friends like them. I highly recommend this very fast enjoyable read. I want to go back!! 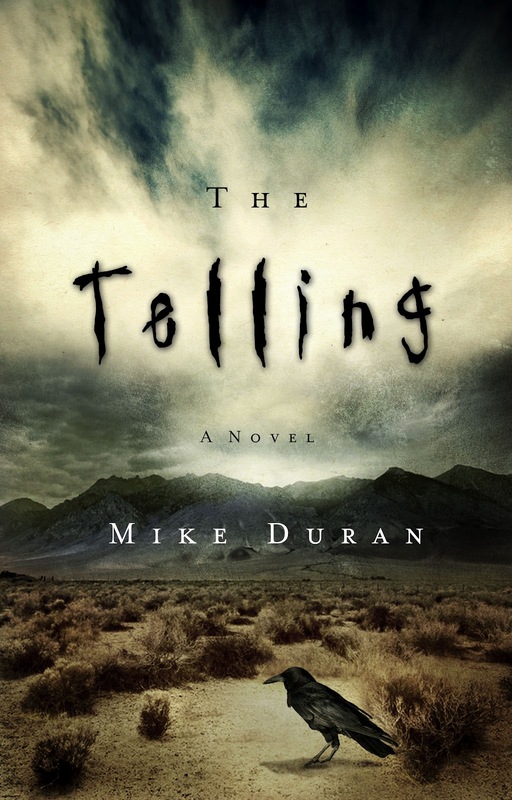 Mike Duran was a finalist in Faith in Fiction's inaugural short story contest and was chosen as one of ten authors to be published in Infuze Magazine’s 2005 print anthology. 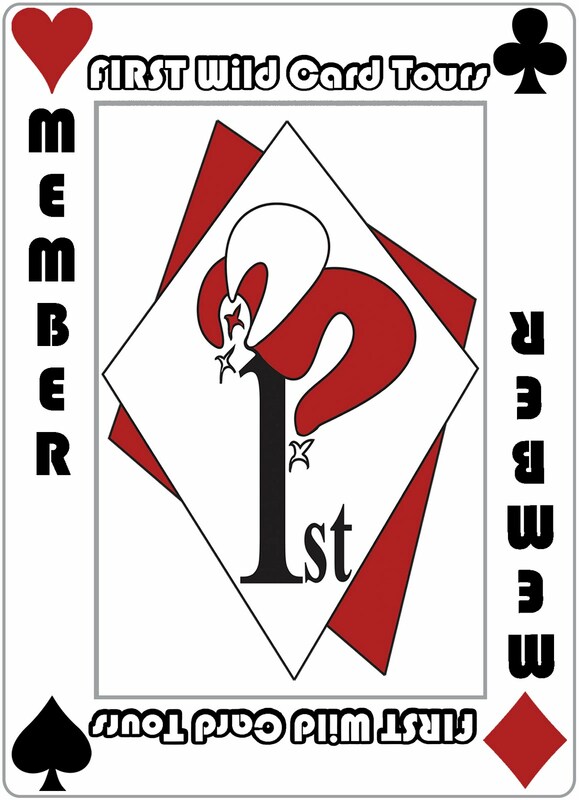 He is author of the short story “En Route to Inferno,” which appeared in Coach’s Midnight Diner: Back from the Dead edition, and received the Editor’s Choice award for his creative nonfiction essay titled “The Ark,” published in the Summer 2.3 Issue of Relief Journal. In between blogs, he also writes a monthly column for Novel Journey and has served as editor on the Midnight Diner’s editorial team. Duran is an ordained minister and lives with his wife and four grown children in Southern California. And now the silence is killing them. He used to believe everyone was born with the magic, an innate hotline to heaven. Some called it intuition, a sixth sense; others called it the voice of God. Zeph Walker called it the Telling. It was not something you could teach or, even worse, sell- people just had it. Of course, by the time their parents, teachers, and society got through with them, whatever connection they had with the Infinite pretty much vanished. So it was, when Zeph reached his twenty-sixth birthday, the Telling was just an echo. That's when destiny came knocking for him. It arrived in the form of two wind-burnt detectives packing heat and a mystery for the ages. They flashed their badges, said he was needed for questioning. Before he could object or ask for details, they loaded him into the backseat of a mud-splattered Crown Victoria and drove across town to the county morgue. The ride was barely ten minutes, just long enough for Zeph Walker to conclude that, maybe, the magic was alive and well. "You live alone?" The driver glanced at him in the rearview mirror. Zeph adjusted his sunglasses. "Yes, sir." "I don't blame you." The detective looked at his partner, who smirked in response. Zeph returned his gaze to the passing landscape. Late summers in Endurance were as beautiful as a watercolor and as hot as the devil's kitchen. The aspens on the ridge showed gold, and the dogwoods along the creeks had already begun to thin. Yet the arid breeze rising from Death Valley served as an ever-present reminder that beauty always lives in close proximity to hell. indigenous flora, bison skulls, and birdbaths. Without previous knowledge, one could easily mistake the building for a cultural center or art gallery. Yet Zeph knew that something other than pottery and Picassos awaited him inside. The bigger of the two detectives, a vaquero with a nifty turquoise belt buckle and matching bolo tie, pulled the door open and motioned for Zeph to enter. The man had all the charm of a cage fighter. Zeph wiped perspiration off his forehead and stepped into a small vestibule. “This way.” The cowboy clomped past, leaving the smell of sweat and cheap cologne. They led him past an unoccupied desk into a corridor. Bland southwestern prints adorned sterile white walls. The stench of form- aldehyde and decay lingered here, and Zeph’s stomach flip-flopped in response. The hallway intersected another where two lab technicians stood in whispered conversation. They straightened as the detectives approached. After a brief nod from one of the white-jacketed men, Zeph’s escorts proceeded to an unmarked room. see? What condition was it in? His mind raced with the possibilities. Maybe a friend had suffered a car accident. Although he didn’t have many friends to die in one. Perhaps the Hitcher, that mythical appari- tion who stalked the highway in his childhood, had claimed another victim. More likely Zeph’s old man had finally keeled over. However, he was convinced that his father had stopped living a long time ago. Zeph drew a deep breath, took two steps into the room, perched his sunglasses on the top his head . . . and froze. In the center, framed under a single oval swath of light, lay a body on a autopsy table—a body that looked strangely familiar. Zeph remained near the door, hesitant to take another step. The detectives positioned themselves on either end of the table. They watched him. A black marble countertop, its surface dulled by a thin blanket of dust, ran the length of one wall. In front of it sat a single wooden stool. The low-hanging lamp bleached the body monochrome. Zeph had seen enough procedurals and CSI knock-offs to know this was not an autopsy room. Perhaps it was used for viewings, maybe occa- sional poker games. But as the detectives studied him, he was starting to wonder if this was an interrogation room. Scalpels, pincers, saws. Oh, what exotic torture devices one might assemble from a morgue! Nevertheless, this particular room appeared to have not been used in a long time. And by the fevered sparkle in their eyes, these men seemed inspired about the possibility of doing so. Zeph glanced from one man to the other, and then he edged toward the corpse. Its flesh appeared dull, and the closer he got, the less it actu- ally looked like skin. Perhaps the body had been drained of blood or bleached by the desert sun. He inched closer. Sunken pockets appeared along the torso, and he found himself wondering what could have possibly happened to this person. The head lay tilted back, its bony jaw upturned, cords of muscle taut across a gangly neck. A white sheet draped the body at the chest, and just above it a single bloodless hole about the size of a nickel notched the sternum. He crept forward, trying to distin- guish the person’s face. First he glimpsed nostrils, then teeth, and then . . . something else. That something else brought Zeph to a standstill. How could it be? Build. Facial features. Hair color. This person looked exactly like him. There was even a Star of David tattooed on the right arm, above the bicep—the same as Zeph’s. What were the chances, the mathematical probabilities, that one human being could look so identical to another? Especially in a town the size of Endurance. The detectives hunkered back into the shadows without responding. Goose bumps rose on Zeph’s forearms as the overhead vent rattled to life, sluicing cool air into the room. He took another step closer to the cadaver until his thigh nudged the table, jolting the stiff and bringing Zeph to a sudden stop. He peered at the bizarre figure. Their similarities were unmistakable. The lanky torso and append- ages. The tousled sandy hair. Thick brows over deep-set eyes. This guy looks exactly like me! However, it was one feature—the most defining feature of Zeph Walker’s existence—that left him teetering in disbelief: the four-inch scar that sheared the corpse’s mouth. Zeph stumbled back, lungs frozen, hand clasped over the ugly scar on his own face. Zeph’s astonishment. “Guy’s a spittin’ image of you, Mr. Walker.” Zeph slowly lowered his hand and glanced sideways at the man. Zeph Walker's has been horrible disfigured by his Step-Mother. He lives a very reclusive life, and made himself a prisoner with both physical and spiritual scars. He runs a book…well a help yourself book store. I felt like I was in a movie…full of evil…reminiscent of the Sci-Fi Chanel. People are still there, but not the same…their souls are missing? The book opens with Zeph being asked to identify his own body in the morgue…yes it was him…but it wasn't! We find out that he is a reluctant Prophet and is rejecting God. Don't miss this page turning read, you won't be able to put it down. 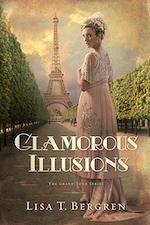 Cora is invited to take the "Grand Tour" of Europe, a journey intended to finish a person's education, to solidify an understanding of ancient culture and contemporary refinement. 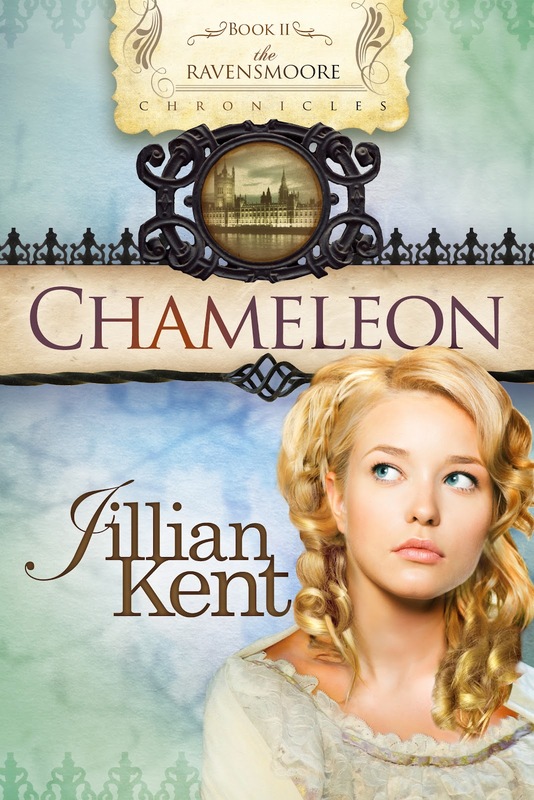 As she travels from England to France with half-siblings she's never known, Cora encounters the blessings of the Kensington family name, as well as the curses. But when an unbidden love begins to form, she realizes the journey is only beginning. Love this story...talk about rags to riches! Cora Deihl comes home from Normal School to find her Dad collapsed from a stroke. She ends up doing all the chores on the farm...including carrying water to water the wheat. Which in the end dying, after all the hard work, there is no return and they are going to loose the farm. 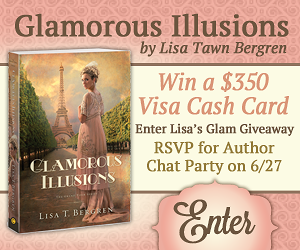 Enter a complete stranger and her world is turned upside. She is no longer the poor farm girl...she is now a member of the Ultra Rich!!! So begins her new journey of meeting unknown relatives, and being waited on! She begins a "Grand Tour"...never in her wildest dreams could she have imagined this. Such sites and splendor, and unbelievable food and lush surroundings. There is also some romance thrown in...but with whom. I feel like I've been left on a cliff hanger, and thank goodness there are some more answers to come. This is such an enjoyable read...loved the descriptions and be prepared for possible kidnappings, and murder. Don't miss this one! I received this book from Litfuse Publicity Tours and the Publisher David C Cook, and was not required to give a positive review. Becca Anderson is finally on the trajectory she’s longed for. 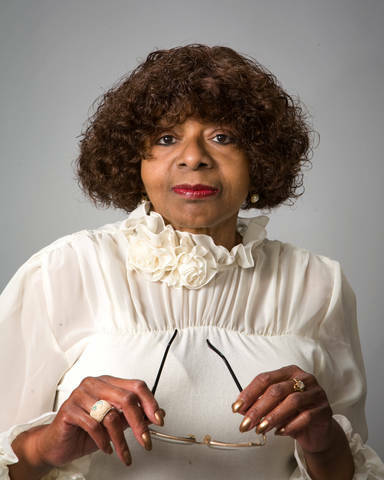 Having been in the ministry trenches for years, she’s been recruited as the newest speaker of a large Christian women’s conference. But her husband feels called to become the pastor of his late father’s church in Hope Springs. 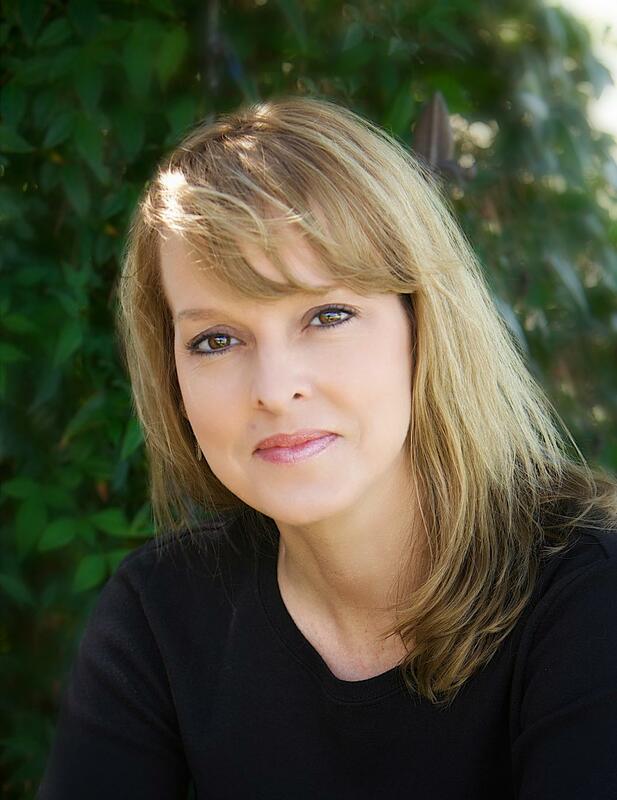 Will small-town living affect her big ministry dreams? 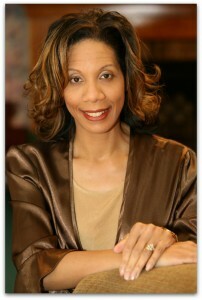 Kim Cash Tate is the author of Cherished, Faithful, Heavenly Places and the memoir More Christian than African-American. 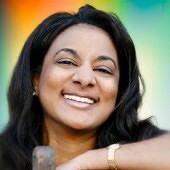 A former practicing attorney, she is also the founder of Colored in Christ Ministries. She and her husband have two children. 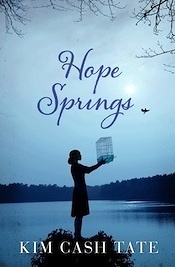 Hope Springs is a small town in North Carolina...held together by two churches...one white Calvery and the other black New Jerusalem. The story starts when Jim Anderson pastor of Calvery passes away. He lives next door to Geri Sanders and their families have lived by each other most all of their lives. Both families come back to town for his services. This book becomes a compelling read, and we are soon immersed in the lives of these families. While in town it is found out that Grandma Geri is dying of lung cancer. This fact changes a lot of lives, and the family begins to focus mainly on her well being. The center of the story are the lives of Granddaughters Janelle, Stephanie, Libby, and Becca Anderson...her husband is called to take over his Dad's Church. Throughout this book I found God leading, yes there are hard times, and a lot of tears shed. Don't miss this page turning read! I received this book from Litfuse Publicity Group and the Publisher Thomas Nelson, and was not required to give a positive review. I just finished reading Annie's Truth, and could not put it down...it was done in less than a day. Now I'm wanting more! As the story begins Annie Beiler is about to find out that she was adopted. Annie and her sister Hanna got their Mother's permission to go the attic and go through their hope chests. In doing so, Annie opens her bible and finds that her birth date is not filled in. When she goes and finds her Mom and Dad to find out the circumstance of her birth...she is thrown into a tizzy and yearns to learn more of why? With her Mother's help she leave and goes to another city to find out as much as she can. 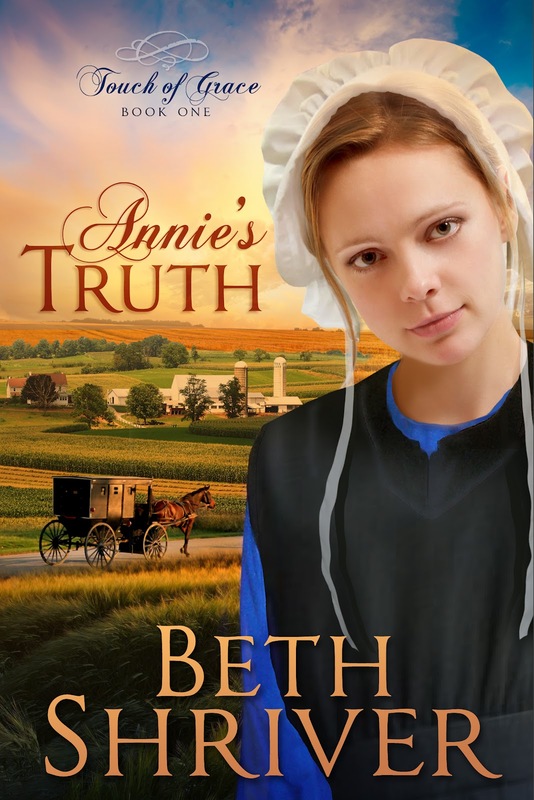 She stays with a former Amish family who seem to want to help her, and she does learn a lot! She finally decides to return to her home and family. You will wonder what has happened since she left and if she is going to be shunned? She was in a relationship with John Yoder before she left, and while away she has found how much she has missed him. You will find yourself rooting for her...no matter what. We meet tough Deacon Zeke...and a Sweetheart Bishop Omar. You will find yourself immersed in this Amish Community very fast, and never want to leave. Enjoy! Jillian Kent has been a member of American Christian Fiction Writers for several years. She has also been a member of Romance Writers of America for 20 years and a member of The Beau Monde, Kiss of Death, and Faith, Hope, and Love specialty chapters of RWA. 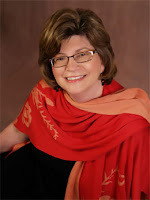 With a master’s degree in social work, Jillian is employed as a counselor for nursing students, which reflects within the pages of her first novel, Secrets of the Heart, which won the 2009 Inspiration for Writers contest and was a finalist in the Daphne du Maurier; the Noble Theme; and Faith, Hope, and Love’s Touched by Love contests. Lady Victoria Grayson has always considered herself a keen observer of human behavior, but when she finds herself involved in a sinister plot targeting the lords of Parliament she is forced to question how much anyone can really know about another human being. ST. JAMES PARK loomed in front of them, shrouded in a heavy mist that created difficulty for horse and driver as the coach and four maneuvered its way into the park. But the warning wasn’t necessary. Victoria could hear Lazarus snuffling the ground someplace nearby. She bit her lip and told her- self to be brave, even as her heart slammed against her chest. At the same time Lazarus let out a warning bark, the mist shifted. Victoria’s hand clamped over her mouth. in only moments.. She wondered what this meeting might have been like under different circumstances. past street urchins and beggars, meshing into an ever-shifting tap- estry of humanity. Victoria turned away from the window and assessed her maid. “I am no longer an invalid, Nora, and well you know it.” She lifted her chin a notch. “I’m stronger than either you or my brother realize.” Nora met her gaze, her brow furrowed with worry. Victoria lifted her hand to dismiss the words of warning she knew were sure to come. But Nora, having been her constant companion the past eleven years and knowing her so well, caught Victoria’s hand. Nora nodded, keeping her lips firmly pressed together in an obvious effort to curb her tongue. A difficult feat, Victoria under- stood and appreciated. As if sensing the tension and hoping to break up an ensuing argument, Lazarus nuzzled and nudged Victoria’s attention away from her maid and back toward the window to watch a group of young boys chasing each other down the street. He barked and strained against the coach door. Victoria couldn’t move him from his place of entertainment if she’d tried. “Such a window hound you are, Lazarus.” Victoria rubbed her hand over his big, sleek head, ruffling his ears. “If you wanted my attention, you would more readily share your window.” She smiled and turned her gaze toward the window on the opposite side. Men and women hawked their wares and called to them in hopes of making a profit. “You can do no wrong in my eyes, Lazarus. If you hadn’t been with us earlier, that poor man might still be lying in the park.” She tried to shake off the sense of dread that seeped through her pores. She refused to allow the upset of the morning to ruin her reunion with her brother. “I’m sorry, Nora.” She studied the dark-haired, blue-eyed woman who was eleven years her senior. Nora had always seemed more of an aunt to her than a maid and companion. “You’re forgiven.” A smile quirked the corners of her mouth. “You really are too pretty to continue caring for me much longer. Victoria ended that line of questioning, and they rode in com- panionable silence the rest of the way, each lost in thought. The busy streets gave way to quieter and more prestigious ave- nues as they made their way to Grosvenor Square and her brother’s London townhome. The quality of the air improved as they moved farther from the central streets and into the areas of the upper crust. The coach slowed and then pulled to a halt in front of number three, Devlin’s home. “I cannot wait another moment.” Grabbing the handle of the coach door, Victoria stepped out onto the curb. Lazarus bounded out after her and onto the street. “Good heavens! It’s a bear,” an elderly woman said, clinging to her husband. The couple hurried away from the dog. Nora bolted from the coach and grabbed Lazarus by the collar, holding him fast as he strained to make chase. 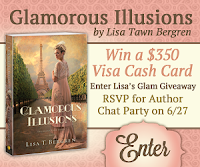 Victoria gathered her blue velvet traveling skirts and ran up the five steps to the entrance. She reached for the gilded knocker, hesi- tated, and then, after adjusting her gloves, started to grab the handle instead. But the door opened before her hand reached it. he said with cheerful amiability. quickly fastened it to the dog’s collar. Nora would reveal all if she didn’t stop her maid when she returned from the walk. She loved his pet name for her. She was more than a bit curious about everything life had to offer, and Devlin used her nickname more often than her given name. “Adventures? What could possibly happen on a two-hour ride into town?” She swallowed hard, hoping her expression didn’t give her away. She would tell him when the time was right. “I promise to give you a full report.” Eventually. And as she stepped into her brother’s townhome, she wondered how she could discover more about her gray-eyed stranger and the bloodied man he’d taken to Carlton House. Jonathon Denning, Lord Witt, nearly collided with the guard on duty while carrying Lord Stone into Carlton House. Witt watched as the page fled down a long corridor. The guard wasted no time, and after climbing to the second floor, Witt lay Stone on a four-poster bed surrounded by green drapes. Out of breath, Witt collapsed into a chair, mentally taking stock of all that had happened in the period of a mere half hour. The guard paled when he saw the severity of Lord Stone’s wounds. “Not a word. Remember that, or I’ll have your post. Now draw those drapes and leave. Send a decanter of brandy. I need a drink. Witt sat in a chair near the bed and tried to think about what to do next, as the regent was sure to ask his opinion. He’d been a valued spy during the war, and the regent frequently asked his advice. He sat forward and rested his head in his hands. He’d simply gone out for an early morning walk before Parliament, heard the coach approaching, and scrambled to get out of the way before he was run down. The muffled sounds of an obviously disturbed dog had fired him to action. He ran a short distance through the mist and then had come upon a well-dressed lady, her massive dog, and Lord Stone. One look at the huge dog had almost caused him to retreat, but he couldn’t leave a young woman to deal with what he’d seen of Stone’s face. The driver had said the woman was Ravensmoore’s sister. Ironic, since he’d been keeping an eye on the “Lord Doctor” at Prinny’s request. to run his estate when he was forced to be absent. Prinny wanted to know if there was more to it or if Ravensmoore was simply eccentric. He heard the unhappy growling of the regent and his doctor as they neared the suite of rooms. Witt steeled himself. “What in the name of all that is reasonable has caused this incon- venience?” roared Prinny when he burst through the outer sitting room. He was still steaming as he entered the bedroom with his physician in tow. “Then I suggest you make the determination.” Witt nodded toward the bed. The physician hesitated. Witt, today’s session of Parliament must be canceled.” Witt arched a brow. Prinny handed him the blood-stained parchment. Ravensmoore came to mind, but Witt faltered for just a moment. No doubt the man was the best there was, and his skills badly needed. But his sister had only just arrived in London, and this sit- uation could put her and her brother in danger. An edge of uneasi- ness rippled down his back. Loved this look into Historical England...this book takes place in 1818. We begin with an attack by very big bird...a Hawk...on Lord Stone. What is going on? We are at the beginning of a a big scary mystery. Lady Victoria Grayson, has journeyed to London, now in good health, she wants to enjoy life. She has gone to the home of her physician brother, Lord Ravensmoore. With all that is going on her path crosses with Lord Witt. Sparks begin to fly between the two, and the mystery deepens. Love how Victoria embraces her new healthy life, and how she lets God lead her. Don't want to get away the ending, but it will surely surprise you and sadden you at the same time. Aaron “Ace” Jamieson is living a carefree life. He’s good-looking, respectable when he’s in the mood, but his weakness is women. When a woman tries to ambush him with a pregnancy, he takes off in the other direction. Responsibility as an option is something he learned from his absentee father. Talise Rogers has a bright future ahead of her. She’s pretty and has no problem catching a man’s eye, which is exactly what she does with Ace. Their chemistry is undeniable and their passion explosive. Trapping Ace is the furthest thing from Talise’s mind, when she learns she is pregnant. She is determined to be a good parent. When Ace rejects her she lets him know, ” I want nothing from you Ace, not even your name,” and she means it. But Ace’s big brother and cousins don’t plan to let the child who represents the twelfth generation descendant of a royal African tribe leave the fold. Whether Ace decides to accept his responsibility or not, his family embraces Talise and baby. As for Ace, they turn him over to the LORD. How long will he be able to endure the guilt trip he’s experiencing because of his choices? What will it take for him to accept responsibility and turn from following in his father’s footsteps? The Jamieson Family Legacy series follows the lives of the two Jamieson brothers in Boston, Kidd and Ace and their cousin Cameron from St. Louis. Kidd, the older brother, is struggling with anger and resentment issues toward his absentee father who never married his mother, but had the audacity to demand his illegitimate sons carry his last name Jamieson. Ace, on the other hand, is on a collision course with disaster as he shows how much a “chip off the old block” he is when it comes to women. Their highly educated MIT graduate cousin, Cameron Jamieson, is all about saving his family from self-destruction. 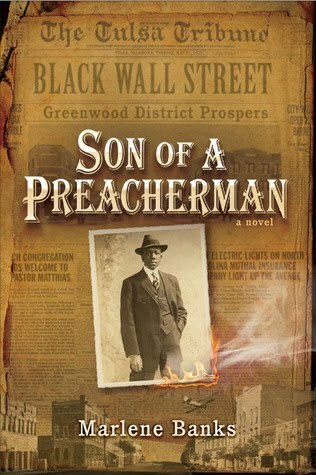 Through genealogy research, Cameron’s mission is to show his cousins their worth as eleventh generation descendants of a royal African tribe and give them a choice: to be angry black men or accept the challenge to become strong successful black men. The Jamieson men in this three book series are challenged with accepting that the past and the present are both in God’s hand. Without Him they can’t move forward toward their future blessings. The bonus storyline is one that progresses the story of the much-loved Grandma B.B. character from the author’s previous Guilt books and her new sidekick, Mrs. Valentine. Pat and her husband live in Missouri and have two children. Find out more about the series at TheJamiesonLegacy.com or visit the author online at patsimmons.net. A return visit with the Jamieson Family...and I didn't want it to end! This book focuses on Tailise and Aaron's "Ace" relationship. When the book begins you feel that Tailie has it made with such a wonderful, caring guy...whoops! He hightails it and acts like a scumbag when she tells him she thinks she is pregnant. I loved the people rallying around her...including Ace's family. If they were Amish they would have shunned him, and some of them did! Through out this book I could feel the hand and love of God. We rejoin and spend time with some of the people we came to know in Guilty By Association, and they are quickly becoming old friends. I wanted to move in with them!!! Once you pick up this book, you won't be able to put it down, and thank you Pat Simmons there is another book to be released later this year...Free From Guilt. As tensions come to a head and violence breaks out, Billy and Benny are caught up in the heat of chaos. He vows to keep her safe but will Benny let him? Will faith in God be enough to sustain the people of the community as their lives are changed forever by deadly acts of hatred? This story takes place in Tulsa OK, and is based on historical fact. It takes place in Greenwood, an oil rich area, mostly inhabited by people of African American decent. They were despised by some White people, because of their jealousy and racial hatred. From what I understand about this 1921 point in history was kind of swept under the rug. The main characters in the book are the Freeman family, who own an oil rich ranch in Greenwood. Their Son Cord runs the operation and has [according to his family] made a poor choice of a wife. Their other son Ethan, is a well respected lawyer, and their sister Benny is trying to find her way. She was very much in love with an older man, when the unthinkable happened. The other family is Reverend Matthias, his wife and son's...Dr Napoleon, and Billy Ray. When Billy Ray and Benny meet...sparks fly, but they have a lot of strife and tribulation to over come, if they are ever going to get together. Another good page turner by Marlene Banks, I really enjoyed her Ruth's Redemption. I received this book from Tywebbin Virtual Tours, and Moody Publishing, and was not required to give a positive review.